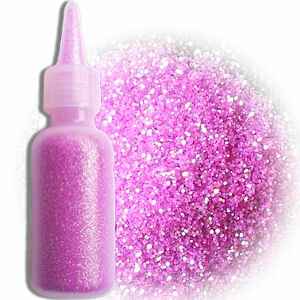 I hope you like our Glitter. 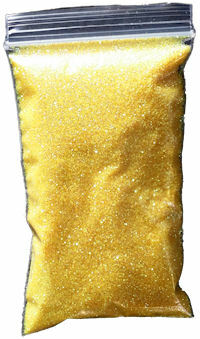 C3PO would be jealous, this is an awesome Gold. Bio Glitter is completely Bio degradable. 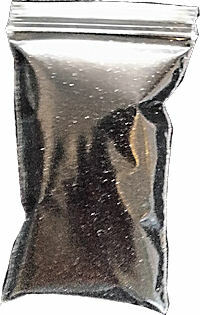 Great for the environment. 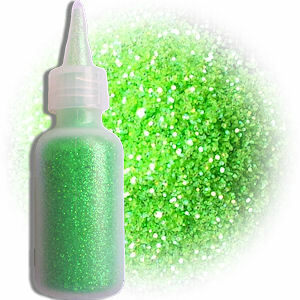 A bright, pretty Crystal Green Glitter. 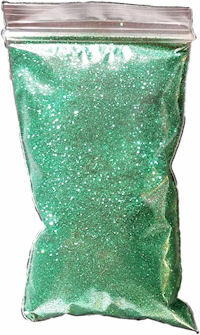 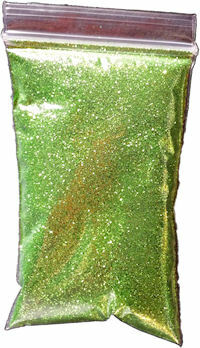 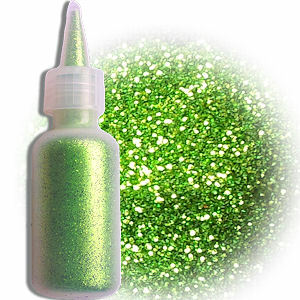 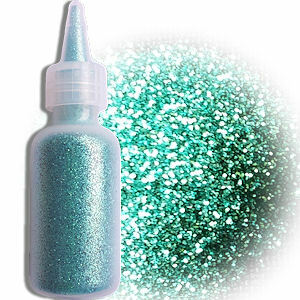 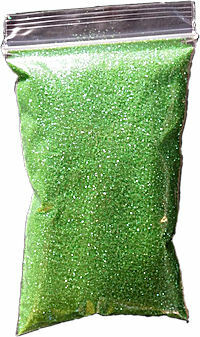 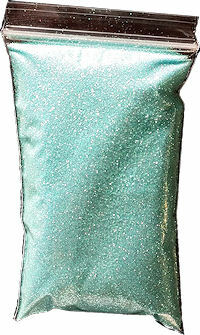 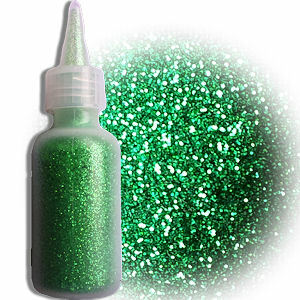 A deep Green Glitter, great for mermaids and popular at Christmas. 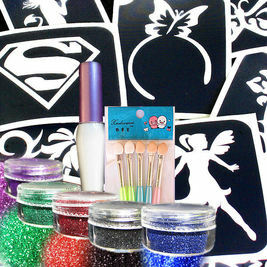 Great for mermaid face painting as well as butterflies etc. 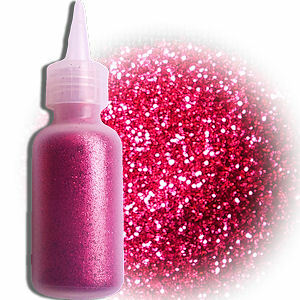 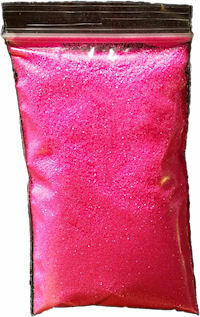 A bright pink glitter with lots of depth. 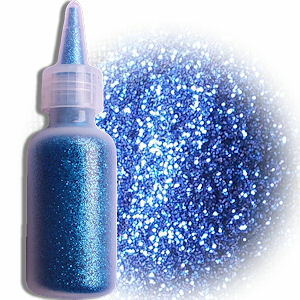 Another of my favourites, great on butterflies, princesses and fairies etc. 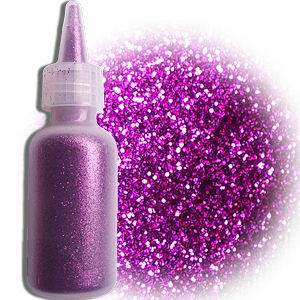 A true Purple Glitter, try it on a Batman mask. 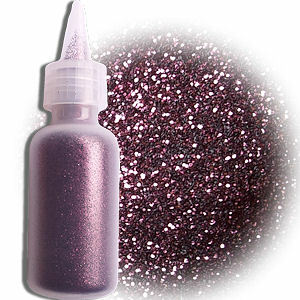 A pastel mauve, this Lilac Purple goes beautifully with our Regular Lilac face paint. 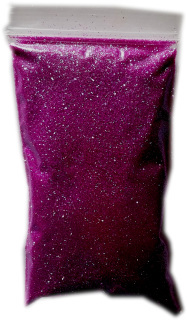 A deep sensual Purple, great for masquerade mask glitter. 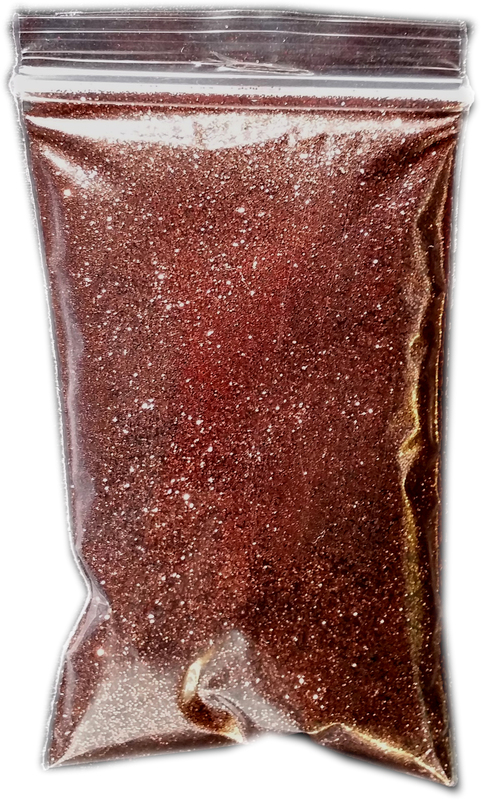 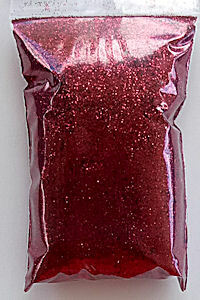 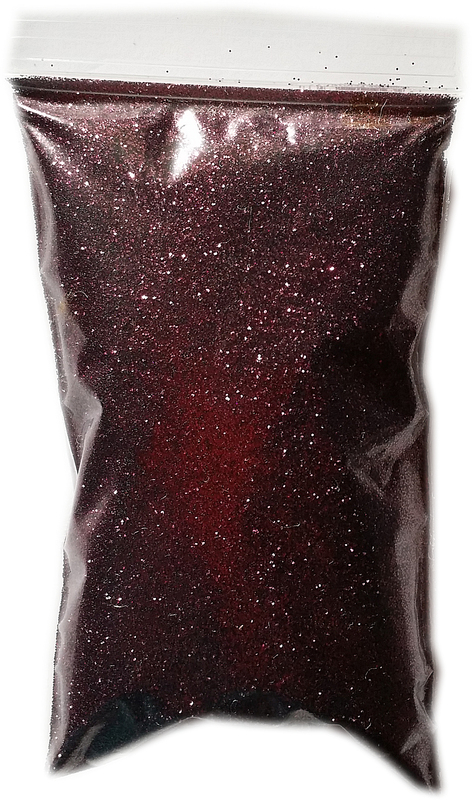 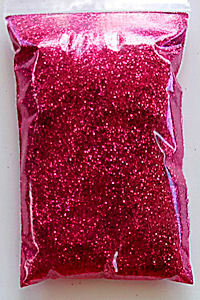 A deep Ruby Red Glitter, use with Regular Red face paint, especially at Christmas. 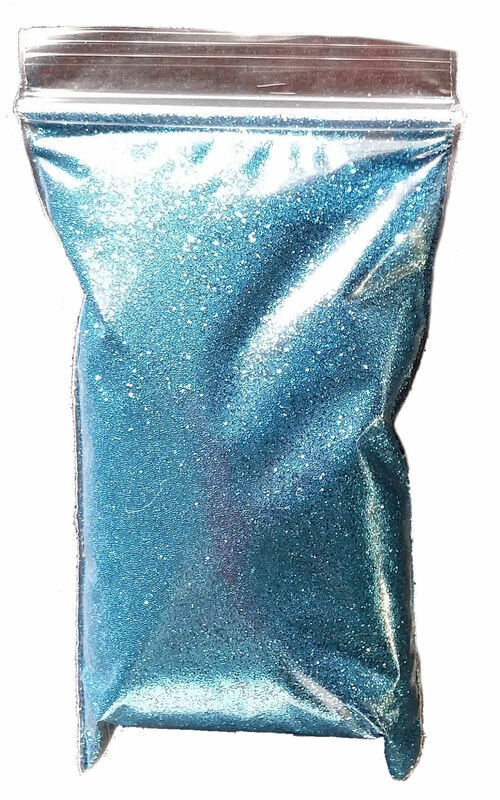 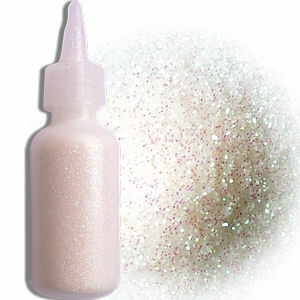 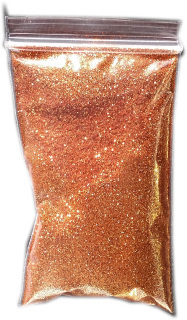 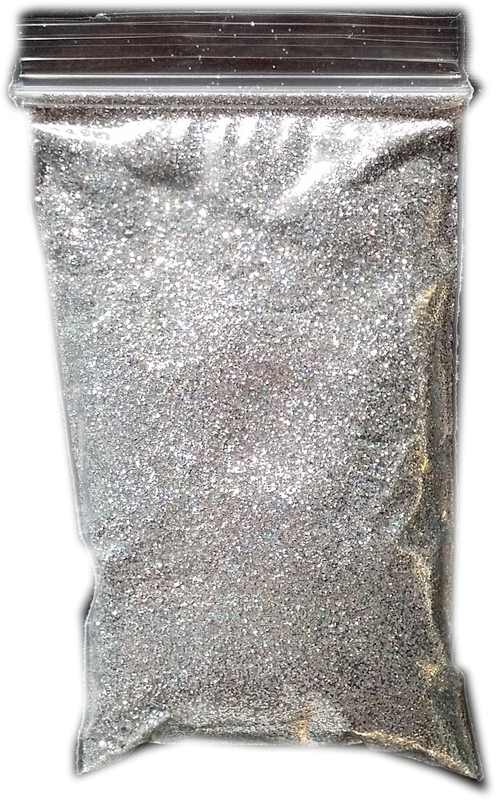 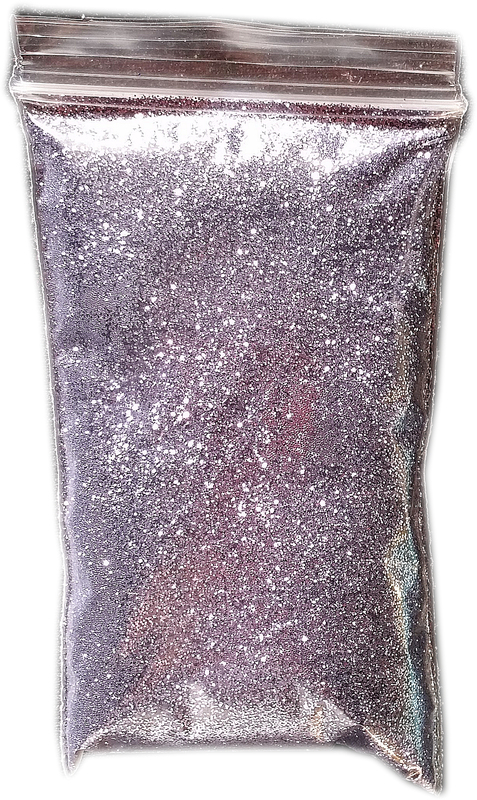 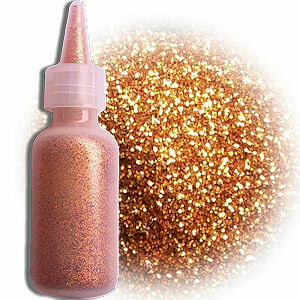 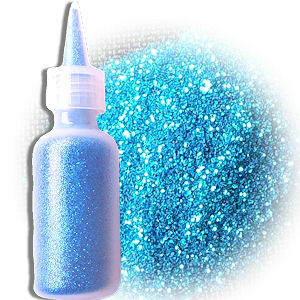 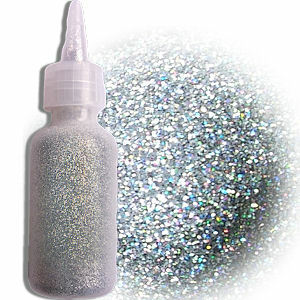 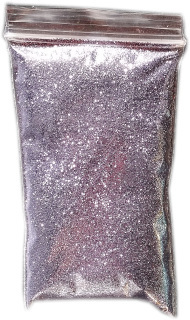 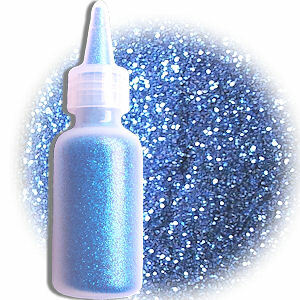 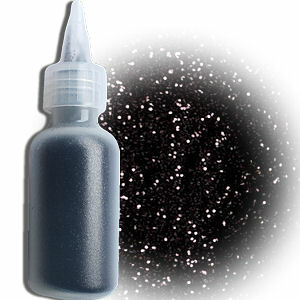 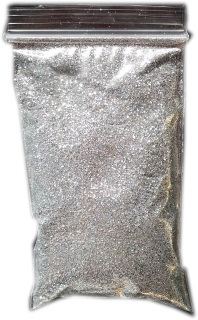 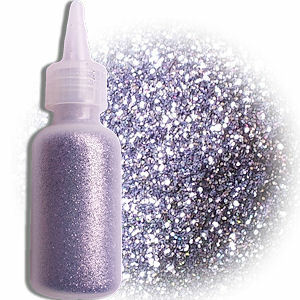 Highlight your face painting creations with this bright Holographic Silver Glitter. 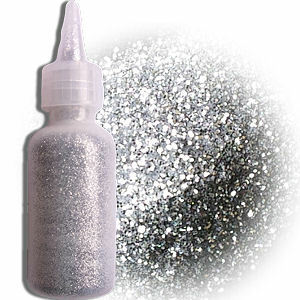 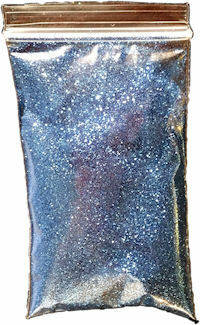 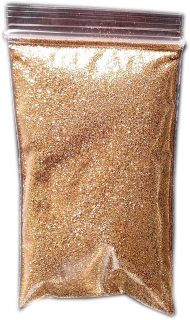 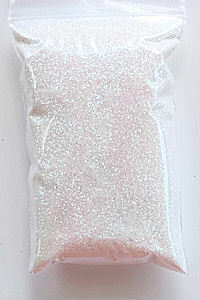 The most used Glitter, Holographic White Glitter can be used on all face and body painting. 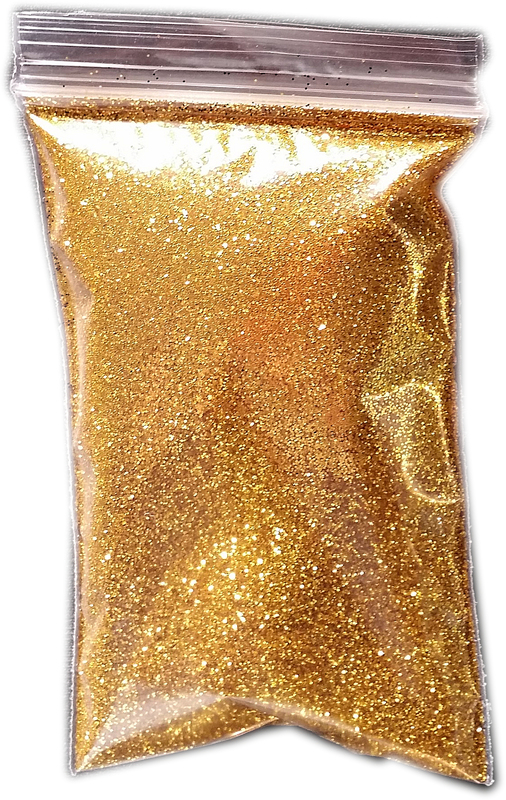 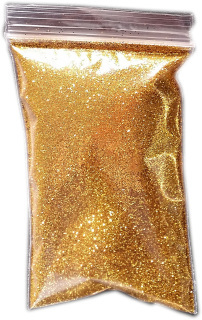 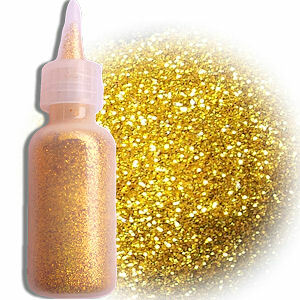 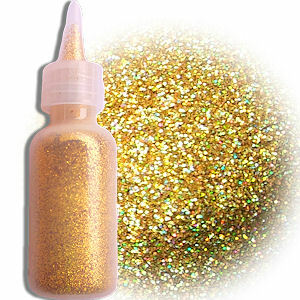 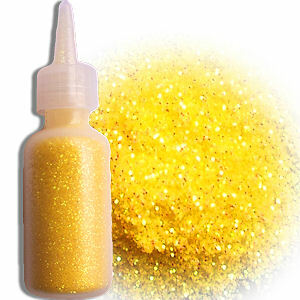 Love this Lemon Zest Glitter, can be used on most face painting designs. 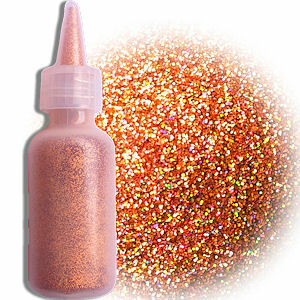 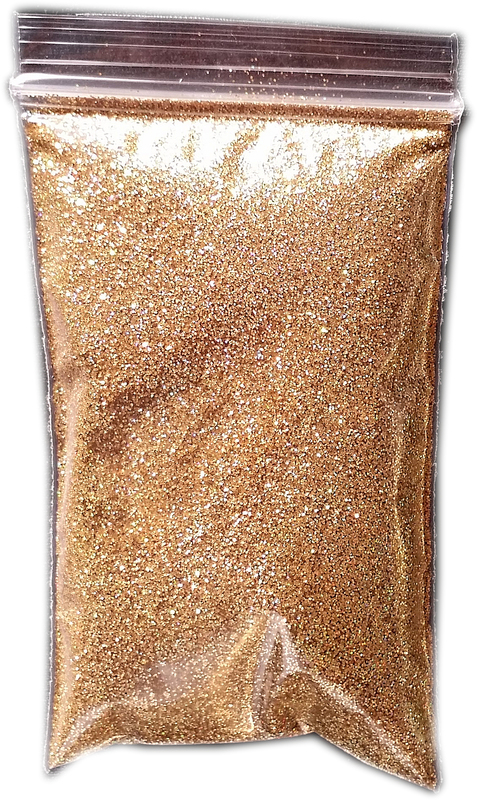 cosmetic grade glitter that is skin-safe. 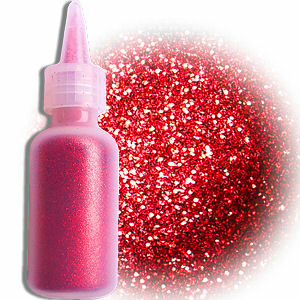 so that the glitter stays on well.